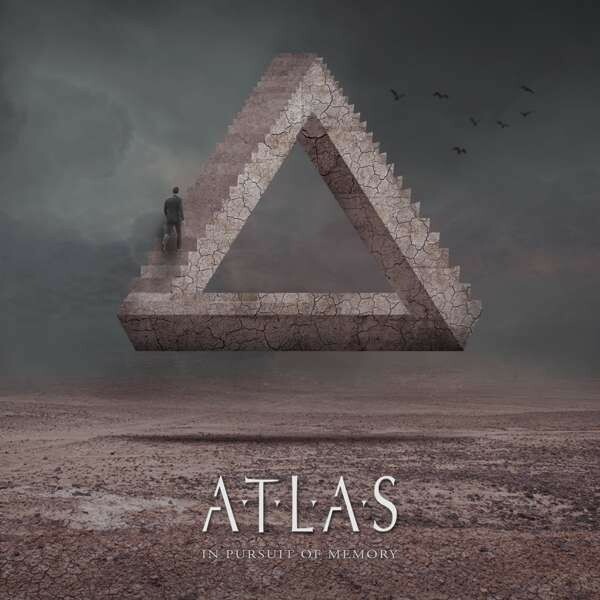 Hailing from the North of England, Atlas are a Melodic Rock band formed in early 2017 by keyboardist/percussionist James Thorley. The band line-up is completed by guitarists John Moss and Howie Little, bassist Chris Redfearn and vocalist Craig Wells. 'In Pursuit Of Memory', their debut album, was recorded, engineered and produced by Thorley at his studio, "The Woodshed", then mixed and mastered by Christoffer Borg (Taste, Art Nation). The backbone of Atlas' sound is classic Melodic Rock that is then sprinkled with equal helpings of traditional AOR and Progressive Rock. For a young band, they seem to have already developed their own signature sound, comprising dual guitars, prominent keyboards, soaring vocals and great harmonies. 'Samsara' starts the album in fine style, it's a catchy rocker that immediately encapsulates the virtues of the musicians involved. 'Bad Habit' shows the band mean serious business and includes the first sign of the Progressive undertones which emerged on last year's critically acclaimed, self-financed four track 'World In Motion' EP. Wells has an ideal voice for this style of music, possessing natural melody and sounding like a cross between Jon Bon Jovi and Vince Neil (he also fronts the tribute band Mötley Crüde). The harmonies are augmented by Sam Millar of Bigfoot fame. 'Breathe Me In' is a more straightforward AOR offering, similar to early Bon Jovi, as is 'Flesh And Blood', albeit with the aforementioned Prog hints, notably on the solos. The middle of the album goes into harmonious Melodic Rock overdrive, beginning with 'As Time Goes By'. The incredibly infectious 'In The Frame' contains both keyboard and guitar solos, whilst Little and Moss trade guitar licks on the ultra-melodic 'Lock And Key'. The harder Melodic Rock continues with 'Seasons Change' before the pace drops with the ballad 'Signal Of Hope' and the lighter Rock of 'Letting Go'. The tempo then increases again for a climactic conclusion starting with the sparkling 'Supernova'. However, arguably, the band save the best for last with the Progressive, yet highly melodic 'Live And Forget', a two-minute instrumental outro that definitely indicates a statement of intent: "to be continued..."
A lot of thought has gone into each song, including the running order which is regularly overlooked in this digital age. If you're a fan of recent albums by the likes of Rage Of Angels, Shy or Blood Red Saints, then I recommend you check out Atlas and start charting their rise to fame.